It’s pretty apparent that much of AVB’s current problems at Chelsea are connected to the Blues’ old guard of Lampard, Terry, Cole and Drogba. Arguably, if the Portuguese tactician is to fully implement his plans to move Chelsea forward in his own image, then getting rid of those ageing stars could well be key. 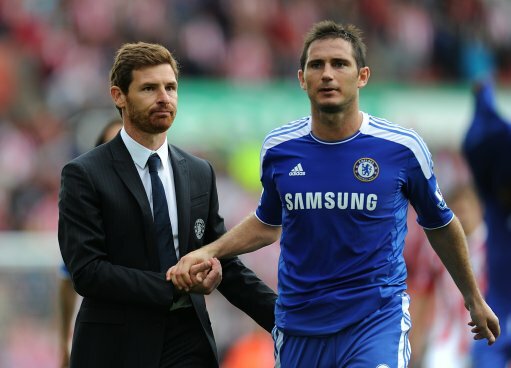 Recently, Lampard publicly described his relationship with AVB as having “‘not been ideal”. However, ahead of the Blues’ tricky away fixture at West Brom on Saturday, Villas Boas has dismissed the need for making-up with Lampard. Is this really what AVB thinks of Lamps? One imagines that, in reality, he can’t wait to see the back of those players at the club who seem to have a little but too much power. However, will the former Porto man himself go before them? My personal opinion of Lampard has gone down considerable since AVB took over. Speaking as a Chelsea fan (albeit somewhat grounded in reality as opposed to the deluded, kneejerk few that seem to be misconstrued as a majority in the press), I can say that I’m fully behind AVB in his attempt to rejuvenate the squad. The size of Lampard’s ego is overshadowing all the achievements he had at Chelsea for all of it’s fans, including myself, to enjoy. He should know that at 33 he can’t carry on like he used to, and seeing him and the other members of the ‘old guard’ undermining their manager is upsetting. Lampard is a top level footballer, who, late on in his career just isn’t as fit as he used to be. Not to mention, the squad he’s in isn’t built around him and his playing style any more. Of course he’d be upset to not be picked, if he wasn’t the type to be then he would’ve never had the prerequisite character to become such a good player. As for AVB, he’s just doing what any manager in his situation has to do– re-establish the hierarchy first and work on the football second. Lamps isn’t going to unseat him from the managing position. Lampard and those other players resemble the situation Real Madrid had with Raul and Gut who demanded to play matches and got upset that they didn’t and were let go. As a Liverpool fan, I have to admit my admiration for Lamps. Ppl say he doesn’t grab the game by the scruff of its neck and bend it to his will but who the hell needs to do that as long as he keeps SCORING goals to affect the outcome more directly? Seems he has a bit of a hard time learning that his time is ticking down. Go while you still have a legacy man.